Wilfried P. Schmitz is Board Certified in Family Law by the Texas Board of Legal Specialization and received this certification in 2000. 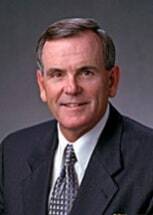 He has practiced law for over 30 years after receiving a Bachelor of Science degree from Texas Christian University and a Doctorate of Jurisprudence from South Texas College of Law. Mr. Schmitz is a fellow of the College of the State Bar of Texas and a member of the American Bar Association, State Bar of Texas, Houston Bar Association, Gulf Coast Family Law Specialists and Texas Academy of Family Law Specialists. He is licensed to practice law in all State Courts in Texas, the Southern and Northern United States Federal Districts Courts in Texas, and the United States Court of Appeals, Fifth Circuit in New Orleans. His law firm Harris, Galveston, Fort Bend, Brazoria and Liberty counties.